Spoiler alert, it holds up pretty well. Following up from the events of the first film, Deadpool finds a way to keep the narrative moving in a way that makes you feel for his character, while at the same time, being a able to keep you laughing. It does get a little darker in the beginning, but it helps give Deadpool more of an identity then just some crazy mercenary. The film opens with your typical Deadpool narrative on how he's trying to kill himself, and then going back in time to explain his actions. Fortunately, this only last for maybe 15 minutes of the film where the first film did it for maybe half the entire run. And it can be summed up as such, Deadpool now hunts down and kills only bad guys, but one gets away, follows him home, and shoots Vanessa in the chest, killing her. This sends Deadpool into a deep depression as he tries to find a way to end his own life to be with her. After having a spiritual moment with Vanessa stating that he still unfinished business among the living, he now has to search for new purpose, which in this case is helping a new mutant named Russell, aka Firefist, as he is trying to escape the custody of a mutant rehabilitation center where they torture mutants children. Turns out, this child grows up to slaughter the family of our favorite time traveling mutant, Cable. Cable comes from the future to kill Russell before he gets a taste for blood. And so we are off to the races with this hilarious action film. Overall, this film has a lot of great jokes and moments. Keeping Deadpool on his fourth wall breaking antics, referencing the DC Universe, calling Cable "Thanos", and keeping a good amount of dirty jokes keeps Deadpool feeling like a refreshing character. Also, poking fun with the whole "let's introduce a bunch of new characters and make them a team" directive that the X-Men films keep screwing up. They introduce a set of mutants (Shatterstar, Bedlam, Zeitgeist, and Vanisher) just to have killed them off within 10 minutes of being on screen. And I find that hilarious. Not because I believe they needed to die, but the fact that they went that route is something you don't see in comic book movies. 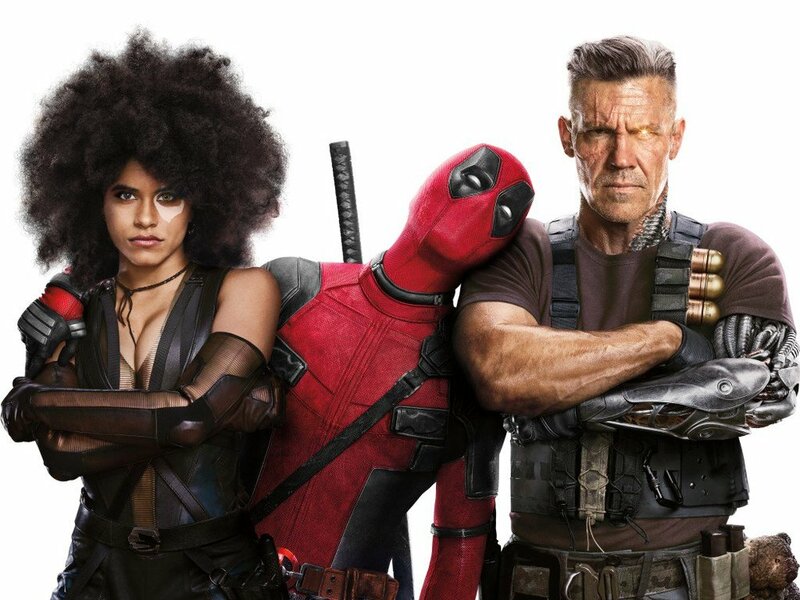 Of the real new cast, I really enjoyed Josh Brolin's portrayal of Cable, but Zazie Beetz as Domino was probably one of my stand out favorite characters. They took, in my opinion, one of the lamest X-Men characters, and made her very interesting and fun to watch. Every time she was on screen, I was glued to her. She is a great fit for this film. Overall feeling of this film, it's pretty much the same as the first film, but with more cast members. I don't say that as a negative. I believe this film thrives better by staying in the same lane that it has been traveling. It's funny, has some serious moments, and gives us a character that has been needed in the superhero franchise. I give it a solid B+.